Hey everyone! I am so excited for today's post. A few weeks ago, Mark and I decided to give our bedroom a little makeover. This includes a new mattress and man-oh-man were we excited! We've been sleeping on the mattress that Mark has had since like, 8th grade. There was a sag in the middle, the edges and seams were ripping, and it was old. 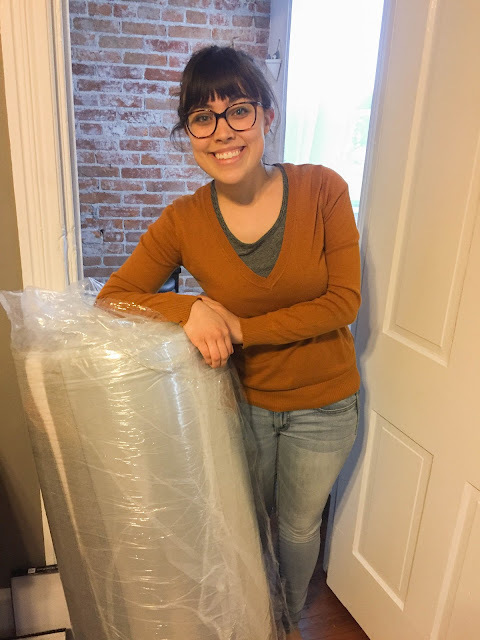 The day our new mattress arrived from Yogabed was one of the happiest days :) See ya never, old mattress! 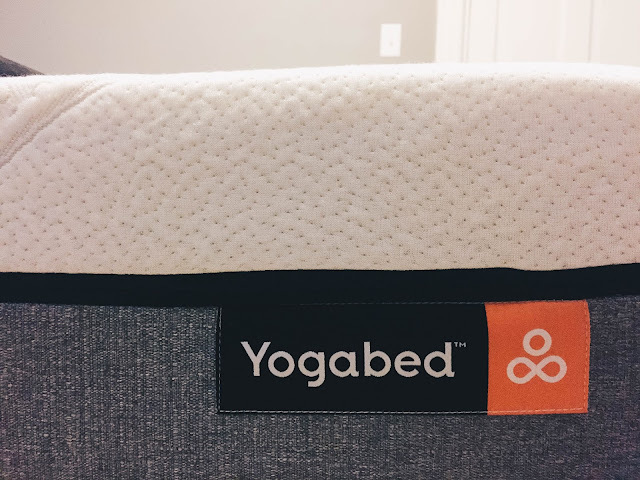 I wanted to share this post right away, but decided to wait a month before sharing about Yogabed so I could give you an accurate review after I've had time to experience the new mattress. In the last 2 years, we've lived in 2 different apartments and rearranged our furniture at least 3 or 4 times. 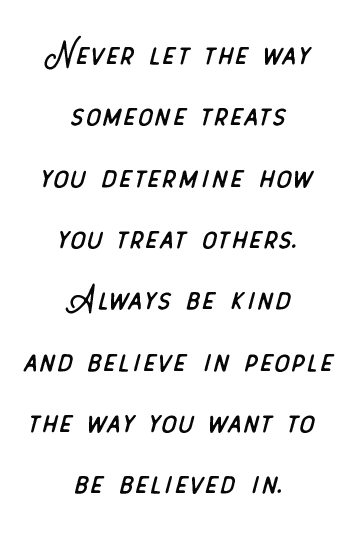 I can't help it! I love trying new ideas and interior design tips for small spaces. 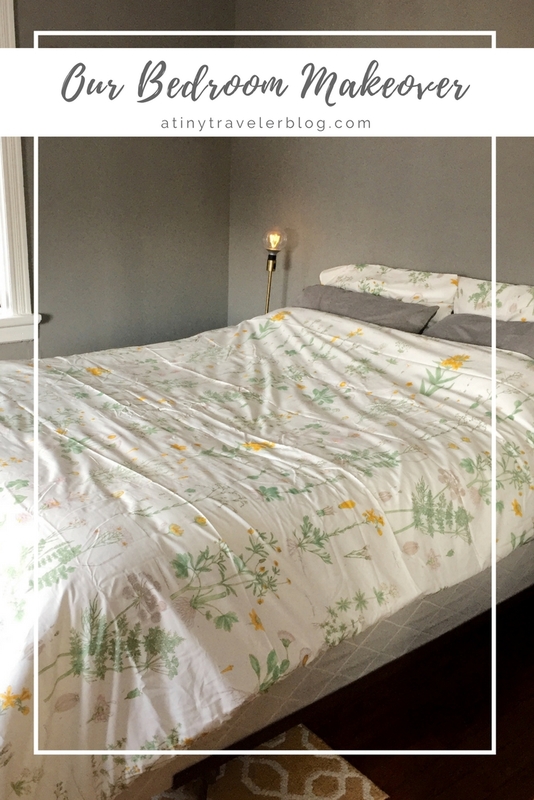 One thing that we've really been wanting to do was change our mattress and our duvet cover. Our bedroom has grey walls (we can't paint because we're renting) and our duvet cover and pillow cases were already grey. D-R-A-B. We found the perfect duvet cover and pillow cases at IKEA and this cute yellow rug at HomeGoods. They really added a pop of color to our bedroom, perfect for Spring and Summer! There was one little problem however. As mentioned before, our mattress was old and sagging in the middle. Definitely not ideal for a good night's rest. After doing a little shopping around we decided to try out Yogabed. Within a week of ordering we were unpacking our new mattress and pillows, ready to experience a new kind of sleep. 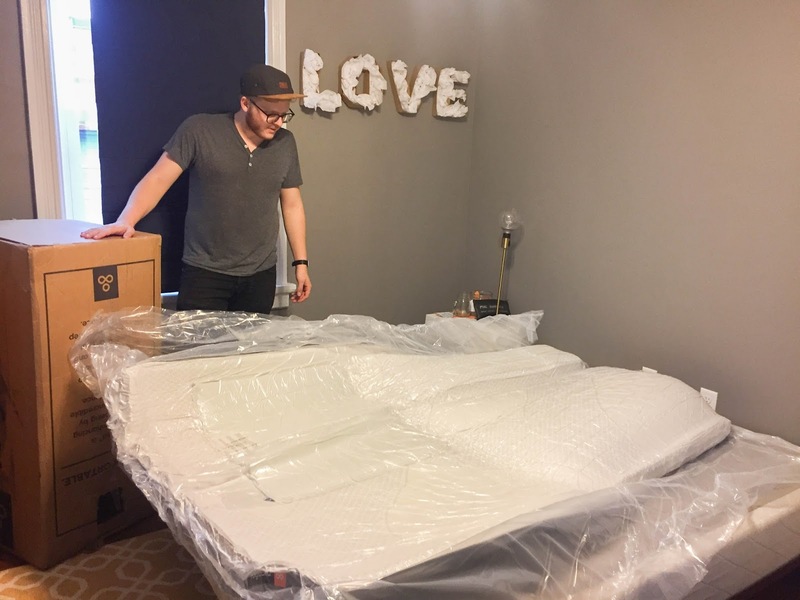 The unpacking and setup was super easy (which Mark and I both loved) and within minutes, our bed was ready! I waited to share about it because I wanted to spend a few nights getting used to a new mattress and then give an honest opinion, and guys let me tell you, it is so comfortable! The pillows that we got with it are great too! They are memory foam and cradle your head and neck so nicely. 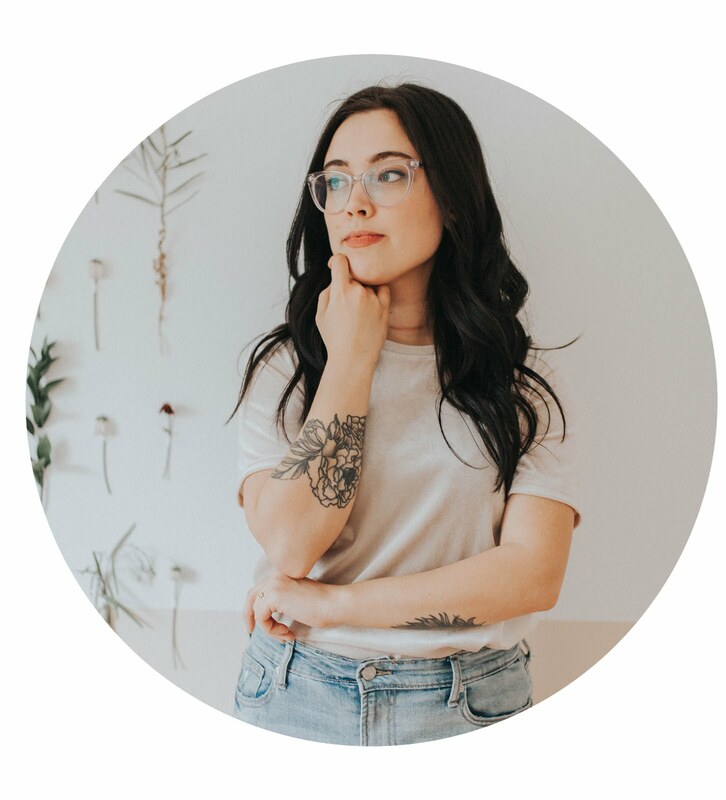 The mattress has a removable, washable cover with is great in case anything gets spilled or summer nights get too warm (which hopefully won't be a problem because it also has a cooling layer + a breathable layer of foam that regulates the temperate). There is a 2" support foam base and then 3 layers of different foam for the mattress, which means it isn't one big chunk of memory foam that will envelope you. The breathable layer of foam and the Yogabed cooling layer of foam are topped with their version of memory foam, called "Instant Response Yogafoam." When it's all said and done, I know that we have a quality mattress because it has a 10 year guarantee as well as a 365 night return policy. (Did I mention the customer service was top notch?) Seriously, the whole experience just made mattress shopping... fun and exciting, which to me was unheard of. So all in all get a new mattress, a new duvet cover, and a bright area rug and you're good to go! 3 simple things that made our bedroom look and feel brand new, not to mention gave us our full night's sleep back.